The Oslo Marka Forest is a popular recreation area, both in the summer and in the winter. 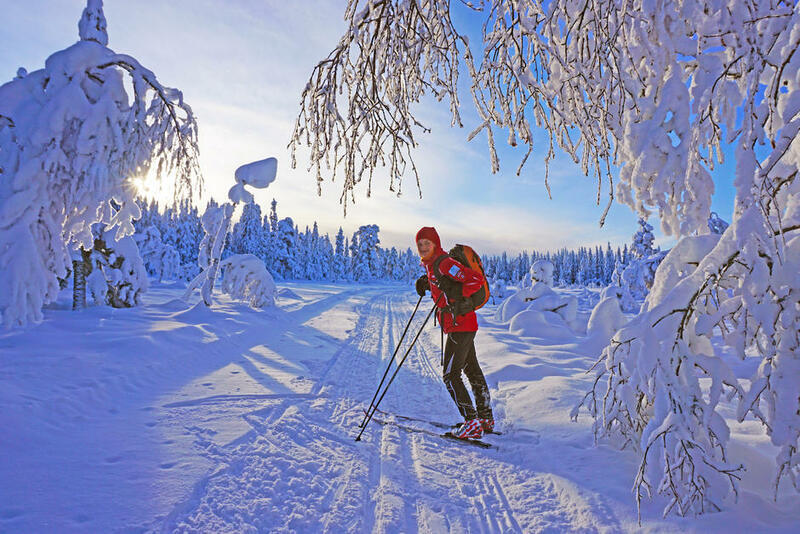 The Marka Forrest consists of 1400 kilometers of forest roads, 2100 kilometers of trails and 2800 kilometers of cross-country ski tracks in winter. It is an important recreational area for the residents of Oslo. Covers an area of 1700 km2. 310 km2 of the forest is located within the municipality of Oslo, 167 km2 is owned by the municipality. It is protected by Marka Law of 2009. It is a popular area for outdoor recreation. Oslo is surrounded by woods on all sides; this is what we call the Oslo Marka. It is located in 19 municipalities, and it is divided among five counties: Oslo, Akershus, Buskerud, Oppland and Østfold. The Marka covers a total of 1,700 km2, mainly forest. 310 of these square kilometers lie within the municipality of Oslo, making up two thirds of the entire area of the city’s total area. The Oslo Marka has been protected by Marka Law since 2009. The purpose of the law is not only to facilitate outdoor activities, nature and sport, but also to secure the boundaries of the land and to ensure the sustainable use of the area. The law has given certain areas more strict protection as a nature reserve. The City Council, in cooperation with the state and neighboring municipalities, is working to make parts of the eastern part of the Marka, Østmarka, a national park. From the perspective of nature conservation and for organizations promoting outdoor recreation, the introduction of Marka Law was a milestone; a victory after 60 years of work to protect Marka. Today, volunteer organizations such as the Norwegian Tourist Association (DNT) and The Association for the Promotion of Skiing contribute to the preservation of the Marka. They do this, among other things, by marking trails, preparing ski runs, and by providing food and shelter to guests at the sports cabins. DNT currently has 27 unmanned cabins in the Oslo Marka. Five of these cabins are owned by the municipality, while DNT Oslo and Omegn rent and operate the cabins. The newest of these, Fuglemyrhytta, was opened in September 2018. The Marka Forest is managed sustainably and is certified according to the International Environmental Management System ISO 140001 and Norwegian PEFC Forest Standard. The City of Oslo owns approximately 10 percent of the forest in the Marka. In the operation of the forest of the municipality, conservation of biodiversity and outdoor recreation is more important than financial interests.